Of course I’m joking, but I think it’s so true that us guys focus on chest and arms for vanity reasons (at least in the our initial forays into the Iron Paradise). And it’s only when you realise that the girls don’t come flocking just because your arms are bursting out of your shirts that you start to turn your attention to the rest of your physique. I spent a good few years with this attitude, so I understand the feeling. But what I soon realised is that a well developed back is just as important as any other muscle group. Building up all of those back muscles not only looks great and gives you a complete physique, it also helps with posture and prevents issues in later life. That classic V-taper that everyone talks about is only achievable with a high degree of focus on your back development. And for those wondering what the hell the V-taper is, it’s a classic bodybuilding look whereby the shoulders a wide and the outline of the upper body narrows gradually from the upper lats to a small waist. The look is best summed up with this pic from the man himself, Mr. Schwarzenegger. You see what I mean right. Wide at the top and narrow at the waist. And yes there are a lot of other factors that come into play and it’s about more than just working on your back to create that look, but your back IS one of the fundamental parts of the equation. Following the 5 steps laid out in this article will result in those ridges and valleys growing significantly and consequently you’re going to probably need to have some cash set aside for a new wardrobe. Make sure you’ve got a good tailor on speed dial because buying off the peg is about to get a realistic problem. If you’re all set let’s get down to it and start spreading those lats. Back Biology 101 – What Muscles Make Up the Back? Your back is made up of lots of individual muscles. It’s far more complex than say your biceps or pecs, which are fairly straight forward in comparison. If we use your biceps as an example, there’s only a finite number of ways that you can effectively target your biceps. The arm only fulcrums at the elbow, so you get that flexion and extension movement and pretty much nothing else. You can mess about with hand position to add something like a hammer curl for variation and use preacher or drag curls to try and target the bicep peak, but essentially it’s still the same movement. With the back, it’s a whole different story. Thinking of it as one muscle who be a bad way to approach it. You need to start thinking about the back in terms of all its component parts. Then you need to target those muscles in each of your back workouts. This is a diagram of your back muscles (it’s missing the erector spinae). Looks pretty complicated right? And because it’s so damn complicated, you’re gonna need to be picking the right exercises to make sure you’re hitting every muscle from every angle in order to get the best look possible. But before we jump right into picking exercises, let’s look at those muscles in a little more detail. Your back is made up of 3 main groups of muscles, which are the Superficial, Intermediate, and Deep (or you might see them also referred to as Intrinsic). When you know more about these muscles, you will start to become more tuned into the right exercise choices. The Superficial muscles are, by definition, the ones closest to the skin and more visible, so these are the ones you want to focus on from an aesthetics perspective. These are the muscles you’re gonna see when you hit the double bicep back pose as you your friend snaps your latest Instagram pic. Included in this group are the trapezius (traps), latissimus dorsi (lats), levator scapulae and the rhomboids. Your traps and lats are the most superficial of these muscles, with the trapezius covering the rhomboids and levator scapulae. So these are the muscles that you’ll be focusing on in the main to get the aesthetic look you want, but let’s cover off the others for completeness. The intermediate group contains two muscles – the serratus posterior superior and serratus posterior inferior. These muscles link between the veterbrae and the ribcage. Their purpose being to aid the raising and lowering of the ribs during breathing. The deep muscles are all associated with the movements of the spinal column, and they also are an integral part of controlling posture. Creating an awesome workout of any description really needs to take into account the individual that’s going to be doing it. Everyone has a different experience level and different strengths and weaknesses. If you’re an experienced weight lifter, the best way to guarantee a workout is going to deliver maximum results for you, is to have a programme designed for you that takes all necessary factors into account. That personal touch and tailored process is the real secret to achieving maximum results. So if you’re someone that’s never set foot in a gym before, or maybe you’be been going to the gym for a little while but are a bit lost as to what to do to make some gains, then follow the steps below and you’ll see some great gains, without doubt. And if you’re a more experienced weight lifter that’s never previously followed a strength-based training programme, then this article is for you too. The Iron Paradise Fitness philosophy is ‘Aesthetics Through Strength’. Both my own and my clients’ programme use this approach as the base starting point. By focusing on strength as the core foundation of your training you will not only build the aesthetic physique you want, but you’ll also develop a solid platform for future growth potential, as you start to switch up your training routine. In the next section of the article, I’ll show you that all the high rep, high volume training in the world will pale into comparison against this type of workout. So, if you feel like you’re spinning your wheels when it comes to your training, give this approach for a solid 8 weeks and reap the benefits. Aesthetics will come from strength. Regardless of which group you fall into, I’m confident that by following these 5 steps you’ll kick-start a level of muscle growth in your back that you might not have previously thought was possible. You’ll be more muscular and stronger than ever before. I’m pretty sure most of you reading this will have your chest workouts planned in. It’s probably a reflection of what I said earlier about the overwhelming majority of guys wanting that bigger chest as their main priority. These workouts are considered sacrosanct. They never move. You can almost set your watch by them. Same day of the week, same time of the day. You need to make sure that you have the same approach to not only your back workout, but ALL your muscle groups. Building that complete physique means every muscle group has to have a degree of focus. If you can, set aside a specific day for back training and try not to include additional muscle groups like biceps and upper traps. As you’ve seen from the picture above, there are a lot of muscles to target and you want to make sure you hit them all. Adding 2-3 bicep exercises into your workout will mean you are likely to have to compromise somewhere. Either in terms of less back exercises or lots more time in the gym, as your workout starts to creep up to the 2 hour mark. Don’t lose sight of where you back workout sits in relation to everything else. When you’re planning your training split you need to to think about where your back workout falls in relation to the other muscles groups you’ll be training during the week. For example, it would be a bad idea to plan back the day after you’ve crushed a tough bicep workout. Your arms will be fatigued and weaker, which is going to impact and ruin your back session. Leave at least 2 days between back and any other workout that primarily focuses on pull movements. This will help make sure that when you’re about to hit those heavy rows, you know that you’re fresh and ready to nail every single rep to the maximum. If you’ve got an element of doubt or some lingering DOMS then I guarantee you won’t be getting all the gains possible out of your back workout. Dedicate a specific day to back and leave enough time to recover from any prior pull-dominant workouts like biceps. If I had to pick one exercise to perform for the rest of my life, it would be the deadlift. Alongside the squat, it’s one of the best weightlifting exercises you can do. It’s a compound lift that incorporates muscles in the upper and lower body. In relation to the back it gives you a tremendous amount of thickness, strength and overall development. Plus, over time you will become stronger and stronger, making you look cool in the gym as you raise and lower over 200kg with perfect form. Most beginners will shy away from the deadlift. It looks like a difficult lift with a high degree of risk of injury to the lower back. And on first glance I’d forgive you for having that thought, especially having seen some dreadful form in the gym over the years (although none as bad as this guy…). With correct form and building up your weights slowly and methodically over time, this exercise is entirely safe. The only caveat on that would be if you have a pre-existing injury (like me) that means your lower back is vulnerable and susceptible to injury. In this case you should steer clear at look at alternatives, which we’ll come on to in a second. How to do a proper deadlift. I could try and talk you through proper form in the next couple of paragraphs, but it would be far easier to show you via this relatively short video from Mr. Layne Norton. Follow the advice here and you won’t go far wrong. If deadlifts pose a problem for you, perhaps because of injury, then there are alternatives. As someone who has lower back issues, the Rack Pull has been my go to exercise of choice over the last 18 months or so. It still gives me great mid and upper back development without the added stress on the lower back. You can then add in some Roman Chair Back Extensions to hit your lower back with much less stress and lighter weights. There’s tons of exercises you can do that will work the back. Some of them are great, some are ok, and some are just damn near pointless. Therefore exercise selection is key. Sweating your way through a workout that is designed around ineffective exercises is a massive waste of time. The basic rules of bodybuilding haven’t really changed that much since the days of Arnie. Yes, science has given us a greater understanding of what is optimal, but the principles remain the same. The basic compound lifts such as squats, deadlifts, bench press, and military press are still the best way to build mass. My key message here is to not get side-tracked by weird and wonderful routines in fitness magazines and in the online forums. Keep it simple and stick to compound lifts wherever possible. Compound exercises should be the staple of your back workout. They recruit more muscles, activate more muscle fibres and allow you to move more weight. And the more weight you lift, the stronger you’ll become. And the stronger you become, the bigger your muscles will be (in very simplified terms). Remember. Lifts that build mass need to make up the majority of your workout. Isolation exercises might give you a nice pump, but they’re not doing much to build size. When you’re selecting your exercises, pick 3-4 (that’s excluding deadlifts) so that you get a nice balance between training volume and time spent in the gym. So which exercises should be planning into your ultimate back workout? The bent over row is a classic exercise that will work your traps, rhomboids and so much more. In fact, there’s lots of rowing variations that you can pick and choose from that will have a great impact on your back development. Here’s how to perform the classic row correctly. An alternative to the bent over row that I use in my workouts is the Pendlay Row. It works slightly differently to the bent over row as you are only really focusing on the initial phase of the lift and letting the weight drop back to the floor. I’ve found this exercise has really accelerated my progression with rack pulls. And it would be a great exercise if you want to improve your deadlift (which you definitely do!). There are three other types of row that you can consider including in your workouts. The single arm row has been a staple in my routine for about the last year. It allows for a greater range of motion compared to the barbell and when performed correctly you can really feel it working the rhomboids and the lats. Make sure you get a good squeeze in the back when lifting the weight and also make sure you get a good stretch as you lower the weight back to the floor. That’s three different row variations already and I’ve still got another 2 for you. First up is the T-Bar Row. A great exercise for targeting the mid-back. You may have T-Bar machine in your gym, which you can use, but that’s pretty rare, so the old fashioned method of shoving a barbell into the corner of the gym is a good option that works well. I prefer the close grip version of the exercise as the barbell rows hit the back with the wide grip, so it makes a nice variation. Last, but not least for the rowing exercises we have the seated cable row. I’ll be honest, it’s not one of my go to exercises, but you can get good results from using it. If you feel like you need some variety in your training, then give it a try. Now we’ve got the rows out of the way, which are mainly targeting the mid / upper back, we can turn our attention to the lats. 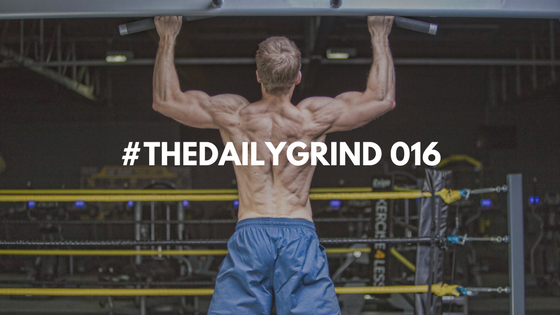 This is where you’ll be working on that lat spread and those all important wings. The good ol’ fashioned pull-up is still a great exercise for lat development and strength. To perform the exercise correctly takes a good amount of strength so if you’re new to training then it might not be a good exercise to start with. You can always use an assisted pull-up machine or revert to a lat pulldown, which is in the exercise list in a minute. Chin-ups are another great way to target the lats from a different position. The wider hand position of the pull-up and disadvantaged position of the bicep will mean it’s more targeted towards lat width. The chin-up isn’t as focused on the lat as it’ll incorporate the mid-back muscles and biceps as well. Having said that, I find I get a great lat stretch and contraction with this movement, so it’s definitely worth experimenting with. Here’s a video to show you the technique. Worth a watch if you can get passed the guy’s stupid hat. The lat pulldown is pretty much going to mimic the pull-up and chin-up motions we just covered. However, these are a lot easier to perform for those new to training and it’s also easier for intermediate and advanced lifters to load more weight and continue progressing with back development, as progressive overload with bodyweight movements can be trickier and slower. The very last exercise we are going to look at is the lat pressdown. Often overlooked as a bit of a ‘girly’ exercise, but this one has more benefits than you might think and it’s not just for the those pretty ladies in tight lycra. This exercise is one that I’ve adopted in the last two years and it’s become my go-to finisher for my back workouts. I tend to hit a higher rep range and really focus on the lat squeeze. It’s definitely helped develop that ‘Christmas Tree’ look in my lower back. Not sure what the exercise is or how to perform it? Guess what? I’ve got a video for you… The video is worth watching all the way through as there’s some extra info on why it’s such a good exercise and how it can benefit some of your other lifts. #4. What Rep Range Should You Focus On? Training in the 4-6 rep range is proven to be the most effective way of stimulating muscle growth and build strength at the same time. I wrote an article which you can read here that explains all the science behind it. For me, there’s no doubt that it’s the most effective way for you to train. Find a weight you can lift for 4 reps. That’s your starting weight. Each time you hit the gym for back day, your objective is to do one more rep (if you can do more that’s great). That one rep signals progress. It might take more than a week, but you know you’re moving forward and getting stronger. The only difference comes with bodyweight exercises and the lat pressdown. With your bodyweight movements, aim for a higher rep range (if you physically) can. I take my pull-ups to failure (which for me is about 11 reps). If you can hit 15, try adding some weight with a dumbbell attached to a dipping belt. Lat pressdowns are much more of an isolation exercise, so it will lend itself to the higher rep range. Aim for 10-12 reps on this exercise. #5. What About Rest Periods? You’ll be working hard during the sets of the compound movements, so you need to make sure you’re recovering enough between sets. You want to give yourself time for your heart rate to come down and to compose yourself before getting under that bar again. I worked exclusively in this rep range and was taking 3 minute rest periods while I was training to make my own transformation a reality. The only time a varied the rep range was for body weight exercises (1 minute rest) and isolation exercises (90-120 seconds rest). Does This Approach Actually Work? The simple answer is yes. I’ll only ever share with you advice and information that I truly believe in and I have used myself. I have used these exercises and this approach consistently over the last couple of years and the picture below is proof that it delivers results. I urge you to give it a shot! What Does the Complete Back Workout Look Like? Here’s a sample workout that takes into consideration all the points you’ve just read through. Copy this and your back will be looking all sorts of awesome in about 2-3 months time. Now you’ve read through all the elements of creating that awesome back workout, I hope you’re inspired to put the ideas into practice and hit your next back session armed with the knowledge of what works. I’d love to hear from you in a few weeks time once you’ve tried the workout in your routine. It’d be awesome to hear about those success stories. This back workout is just one component part of your overall fitness programme. You need to make sure all your other sessions are as effective and your nutrition is equally focused and targeted to achieve your goals. Without a great nutrition programme in place, you won’t be able to realise the full potential of your muscular development. If you like what you read and the principle of achieving a more muscular and toned physique through strength-based training resonates with you, then I’d love for you to join the Aesthetics Through Strength (ATS) programme. The ATS programme is my personalised, uniquely tailored complete fitness programme that is built on the foundation of strength-based training. I personally create every training programme and meal plan from scratch, based on your circumstances, likes and dislikes. I simply don’t do copy and paste at Iron Paradise Fitness. If you want to find out more about the ATS programme, me, and my online coaching then why check out my Online Coaching programmes and see how I can help you achieve your goals. And if you have any questions, don’t hesitate to shoot me an email.